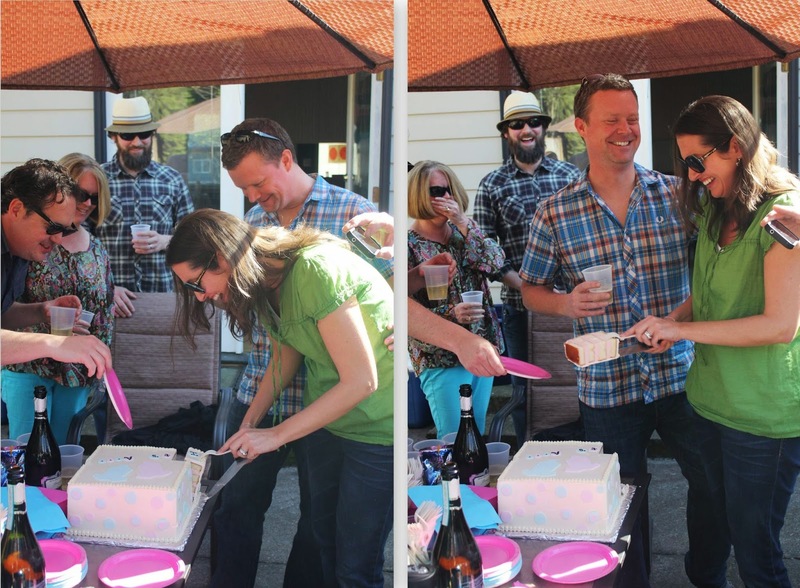 When our very good friends, Pat and Laura (seen here, here and here), found out they were having a baby, we decided to throw them a fun gender reveal party. 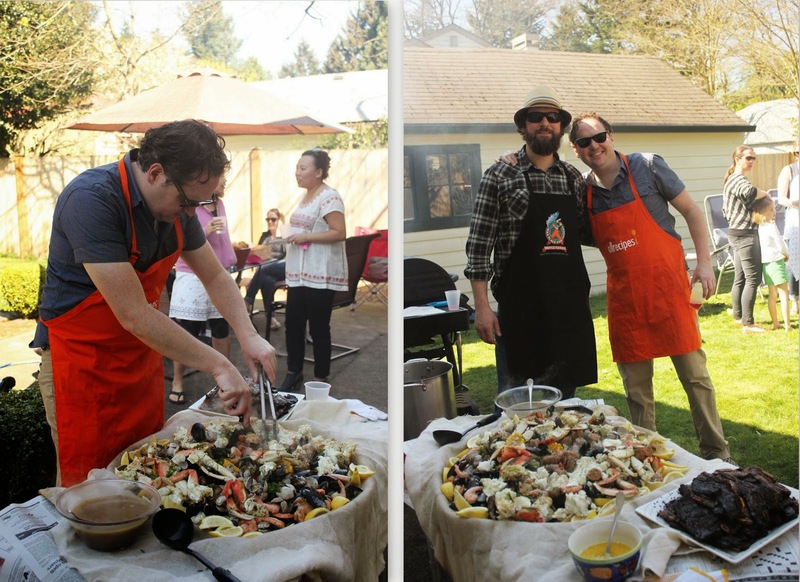 We had a big clam bake followed by a lovey cake with pink frosting on the inside to tell them they were having a girl. I was the only person who knew in advance (well, besides the baker! ), and, trust me, I was mighty relieved when they found out and I didn't have to keep it quiet anymore. Such a fun day! Congratulations Pat and Laura! Love these pics and all the fun, good baby stuff for sure.